leaked before. It is priced at $113 (#21,000) but it is available for pre-order from Chinese website QQ Tencent for now. 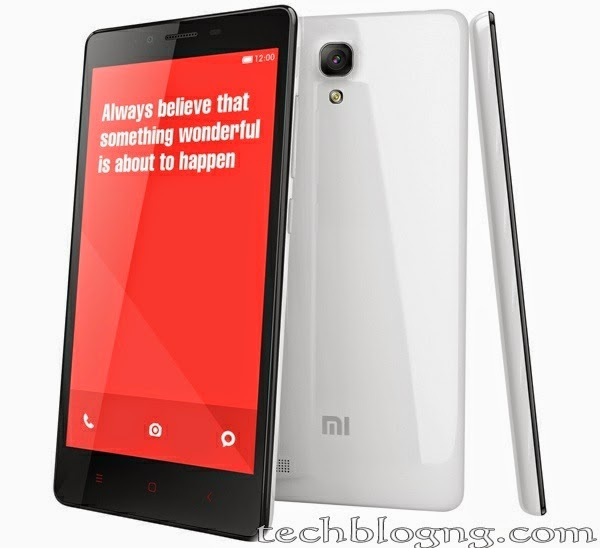 The improvements from the predecessor Redmi 1S include a 64-bit architecture, latest Android , bigger battery and latest user interface. It’s 8-megapixel rear camera comes with BSI sensor that has f/2.2 aperture. done soon and it will be provided in India also. There’s also an improved front camera. • 4G, 3G, GPRS/ EDGE, Wi-Fi 802.11 b/g/n, Micro-USB, and Bluetooth v4.0 G-Sensor, Gravity sensor, Proximity sensor, Light sensor, Accelerometer.